Although shoes were worn in ancient Samaria and Egypt, historians believe most people went barefoot. Shoes were worn only by the rich and influential and when they went barefoot this was taken as significant. 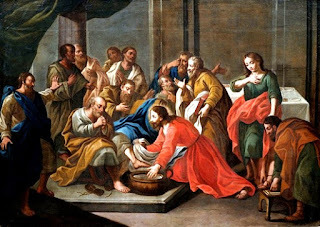 According to the Holy Scriptures barefoot walking intimated one of three states: the lack of social status, humility, or reference to the Divine. A common punishment or judgement was being forced to go without shoes it can be concluded wearing shoes was a privilege extended only to the few. Prisoners and slaves were made to go barefoot to prevent escape. The footwear of captives may even have been taken as trophies. The corollary was also true and the right to wear shoes was a declaration of freedom and reinstatement of social standing. Reference to this appears in the Old Testament. Later in the New Testament in the parable of the prodigal son, Luke described the old Hebrew custom. In Ancient Rome it was the right of a citizen to wear sandals. Feet represented the inner state and deliberately going without shoes demonstrated self-exile or a spiritual poverty. It was also used as a warning to others and barefoot prophets acted out the fate of those destined as sinners. By the Middle Ages it was common for pilgrims to walk barefoot as visible penance for their sins. Another Biblical custom, which involved removal of shoes, is referred to in Ezekiel in the parable of the boiling pot and related to the self-imposed captivity of mourning. When Davis was in mourning he went barefooted. Going barefoot in respect for holy ground is well referenced with barefoot worship considered the will of God. Moses (circa early 12 century BC) was reminded of this by the burning bush. This is repeated again, at the confirmation of Joshua as the new Moses. In the New Testament the same message is repeated.